TORONTO, ON – Burdock Brewery has announced details of a new beer that will released this weekend, as well as three other beers that will be out later in the month. 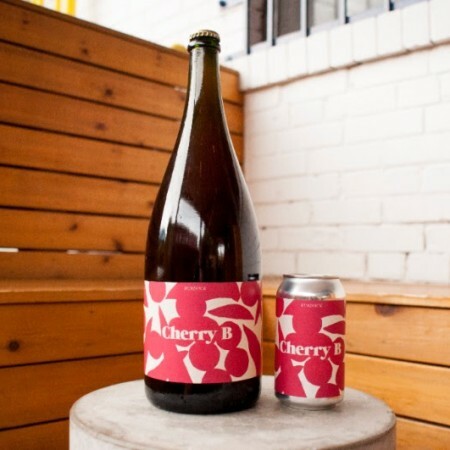 Cherry B is a sour saison brewed with Montmorency sour cherries from Niagara that will be available in 355 ml cans as well as a limited number of 1.5 litre magnum bottles. Both formats will be available in the Burdock retail store tomorrow (Saturday August 4th) starting at 2:00 PM. Following later in August will be Baby Riesling saison, Nula Raspberry & Blackberry tart pale ale, and Ton Ton vintage sour saison. For more details, keep an eye on the Burdock Instagram feed.